Since I travel quite a bit through work and am attempting to plan some leisure trips, it is helpful to know when the rates are going to go down and when I should buy. Bing Travel has a great tool called a Fare Predictor. 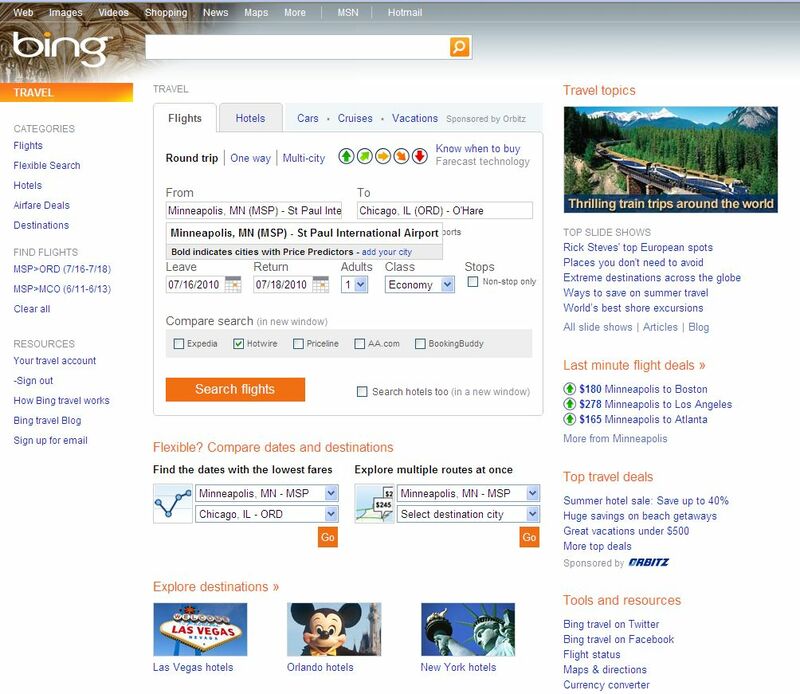 If you go to www.bing.com/travel, then all you have to do is put in your destination and dates, or if you just want to build a trip around cheap tickets, then search without dates, and it will tell you when to buy your ticket. They do not have every airport, but the larger ones are all there. Plus, if it helps save a few bucks – that is a good thing!